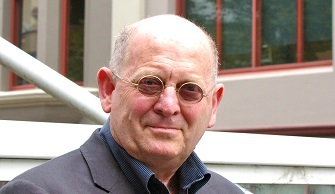 MEAA extends its condolences to the family and friends of Professor Dr Alan Knight who passed away yesterday in Sydney. Alan, was a long-standing member of MEAA. His recent work was as a highly respected and admired journalism educator working as Emeritus Professor at CQU and adjunct Professor at Griffith University. Before becoming an academic, he worked as a reporter, a ministerial public relations staffer, and an executive producer. He commenced his journalism career in 1973 as Brisbane correspondent for the Nation Review followed by stints as a sub-editor at Queensland Newspapers; a reporter for AAP; senior political reporter for Macquarie News; the ABC (as variously a reporter, presenter and producer at Radio Darwin, 2JJJ and Radio National and Television); and Radio Television Hong Kong. He was deputy director of the media unit at ALP national headquarters in 1983. Alan was an also Honorary Research Fellow at the Centre of Asia Studies at Hong Kong University, a visiting professor at the University of Hong Kong and Emeritus Professor at Central Queensland University. He was Head of the Graduate School of Journalism at University of Technology, Sydney and Head of journalism at the Queensland University of Technology from 2005 to 2009. He was the editor of the online publication eJournalist. Alan is remembered as a great champion and supporter of the ABC.